Nuevo Progreso offers an affordable Dental health care alternative as well with fully licensed and certified dentists and dental specialists, the town is very quiet and many visitors from Texas are looking services on procedures such as crowns, bridges, removable prosthetics, fixed prosthetics such as full-mouth, single-tooth implants, and cosmetic dentistry. Look this video of a visit in Nuevo Progreso a Safe place for take a dental care. 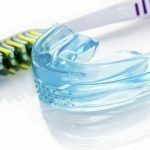 Check the Nuevo Progreso dentist prices. Details: The average price of porcelain fused to metal crowns in Mexico can range anywhere from $150 USD to $400 USD. The recommended cost for a quality facility will be around $250 USD to $350 USD. 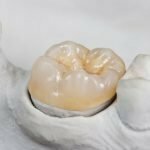 Porcelain fused to metal crowns are the most common type of restoration made in Mexico. 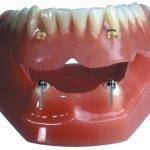 When researching for a clinic it is important to find a quality clinic that will deliver a guarantee on these crowns. Details: Zirconia Crowns can be done in two methods either monolithic zirconia meaning that its a full coutur All zirconia crown or a Zirconia fused to porcelain crown. 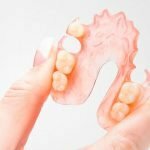 The average price for a zirconia crown in Mexico ranges anywhere from $350 USD to $500 USD, depending on the area if they have to outsource it or if it’s done in-house. Zirconia know a days has become the leading material in crowns because of its durability and strength. 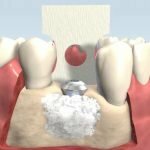 Find the best providers for zirconia crowns in Mexico. 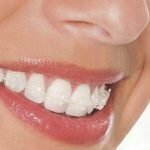 Details: Thousand of American and Canadians go to Mexico each year for Porcelain Dental Veneers, Porcelain Veneers usually range from anywhere from $300 USD to $600 USD in Mexico. These Veneers are commonly made with quality material like Davinci Porcelain, Emax Porcelain and other mayor brands. 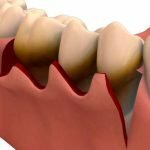 Veneering your upper front 6 teeth might cost you around $2400 USD, Click the following links and find a certified dentist in Mexico that provides aesthetic high quality veneers. 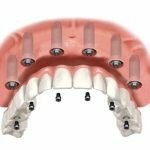 Details: Titanium Dental Implant is the most commonly used implant in dentistry, other options like zirconium implants are available now but haven’t been in the market long enough to determine their success. 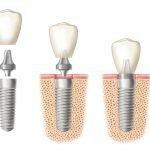 Most providers in Mexico for dental implants provide tianium implants, The price for the implant placement only not including the restoration ranges anywhere from $700 USD to $1100 USD. Prices may vary if you are getting multiple implants, if you have bone lose, if you need extractions and other factors alike.